HOW DO I ADMIT THE POOR STRAY KITTEN/PUPPY INTO PAWS? 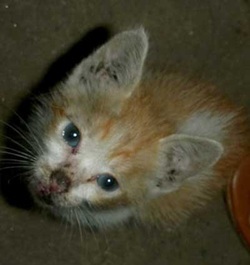 "I saw this poor (hungry/thin/mangy) kitten, dog/puppy in the street - how do I admit it into the PAWS shelter?" PAWS receives this question a lot. While a starving kitten, dog or puppy in the street is also in distress, our limited resources simply does not allow us to take in every thin or mangy stray or abandoned animal in need of help. First and foremost, concerned citizen must make sure animal is truly abandoned or a stray. They may check with the barangay and nearby vendors and people in the area. If animal has an owner -- please refer to FAQ on Pet Neglect. PAWS is willing to extend vet assistance if the concerned citizen is willing to take a more proactive approach and agree to foster or temporarily keep the animal while we assist in rehoming and giving veterinary care /spay-neuter. If concerned citizen cannot foster, he/she should find someone (friends, family, colleagues, churchmates, etc.) who can foster. A Foster Agreement Form is signed at the PAWS office. See PAWS Foster Care Agreement Form here. Those who sign the Foster Agreement may avail of medical assistance for the animal at our clinic in QC for the duration of the foster period (while the animal is under their temporary care). The fosterer will be entered into the Foster Care Database and will be informed once there is a vacancy in the quarantine section of the shelter. Willing to maintain visual of the animal until PAWS team arrives for the rescue? Yes or No? Willing to accompany dog/cat to the clinic and take the animal home after initial treatment? Yes or No? Willing to foster? If one can't foster (for whatever reason - bawal ang aso/pusa sa tinitirahan, may mga aso o pusa na inaalagaan, hindi kaya mag-alaga), willing to find someone who can foster? Yes or No? Because PAWS is a volunteer-based NGO and not set-up for rapid deployment, and despite having a fosterer for the animal already on standby, it may take hours or even days before a rescue team is available and can be sent to the location of the animal. We hope for your understanding. The CITY POUND (through the City Vet Office or City Health Office) is the government agency officially tasked to handle and control the stray population problem.